has given us a $15 gift certificate for one lucky winner who will be chosen randomly. Thanks, Christy! So check out the inspiration below from the other girlfriends and link up a Christmas project of your own. Please note, there will be no challenge next week, but the Featured and winner of the Tiddly Inks gift certificate will be posted either late on the 25th or on Boxing Day. We will kick off 2019 with our first challenge of the year on January 2nd. All the Girlfriends here at Little Red Wagon would like to wish all of you a very Happy Holiday season. We are so glad you have been a part of our challenges this year. 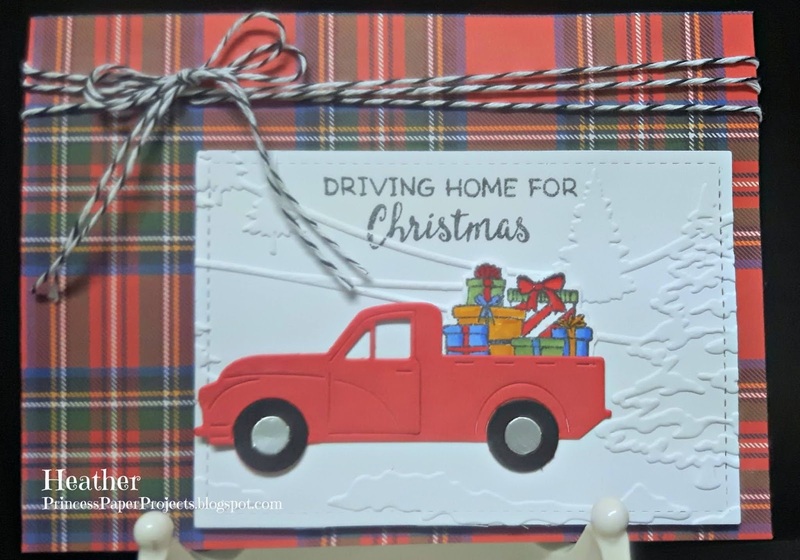 What a cute card, I love that die cut truck! Lovely Christmas DT creations! Merry Christmas to all! Thank you all for your lovely comments - we hope to see you all back in 2019 !